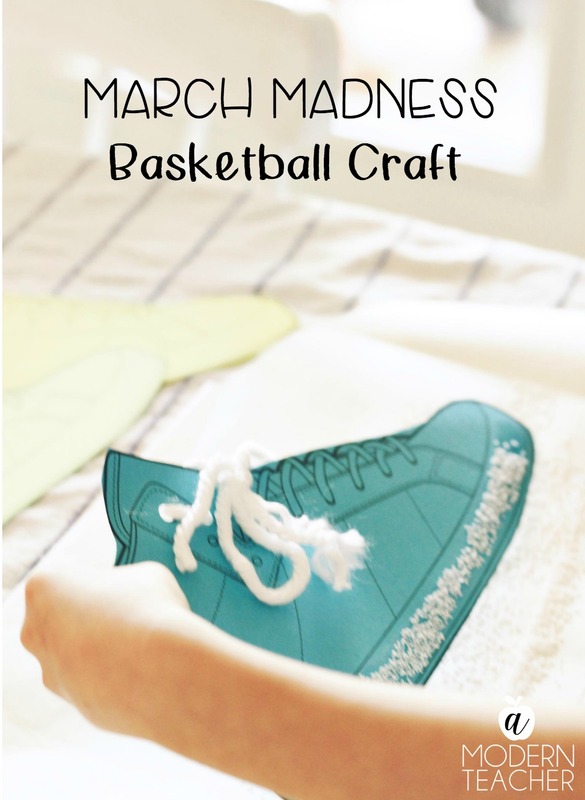 Just in time for March Madness, I’m here to share a fun little basketball craft for the kids. Even though my boys are still little, they love to play basketball! I am a fan of attending games, although it has been many, many moons since I’ve been to a game. I’m a Spurs fan through and through. It runs deep. HA! Have you ever read Salt In His Shoes by Deloris Jordan and Roslyn M. Jordan? It’s a heartwarming story about Michael Jordan written by his mother and sister. I won’t spoil it but Michael literally puts salt in his shoes. Why? Gotta read the book to find out. I thought this was the perfect book for our afternoon of basketball fun. We read the book and then completed this fun little craft. Let’s get started! 1. 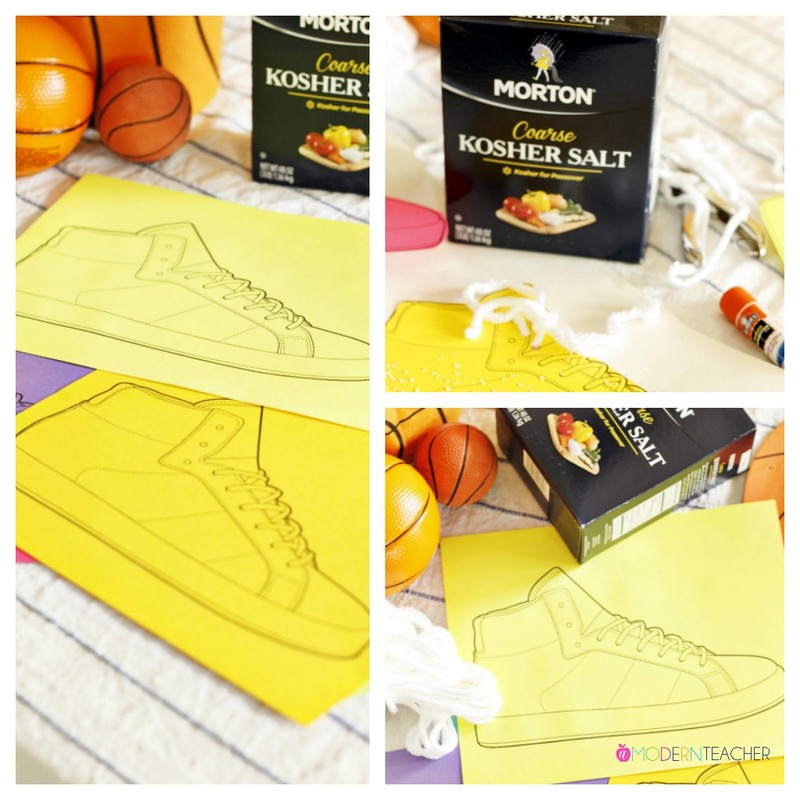 Print out the shoe template on the colored Astrobrights cardstock. 2. Have kids cut out shoe template. 3. 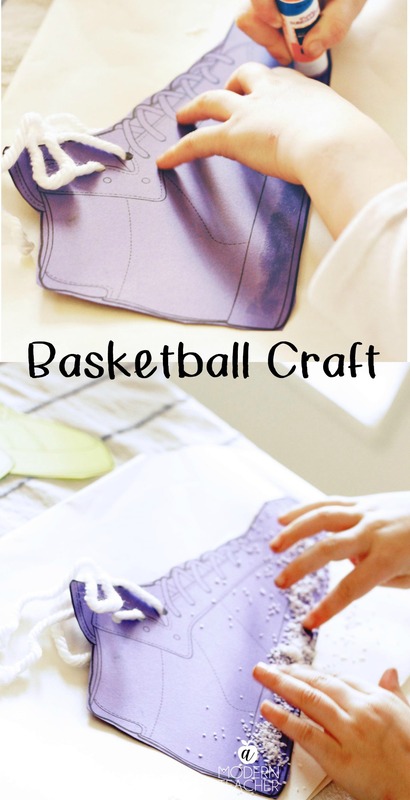 Have kids punch 3 holes at the top of the template (where the “shoelaces” will go). 4. Thread yarn through holes, tying a bow at the top. 5. Add glue at the bottom of the shoe. 6. Sprinkle kosher salt on top of the glue. Shake off any excess. 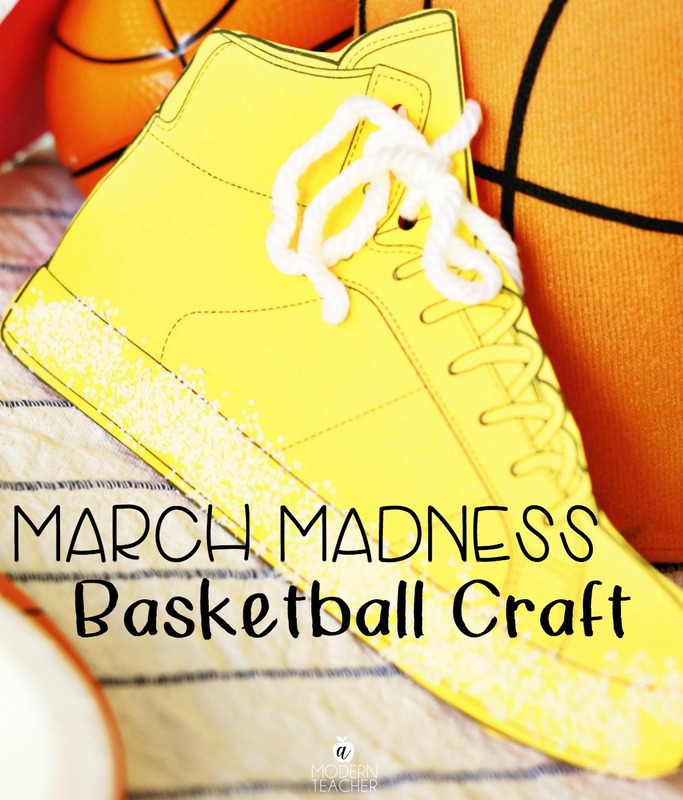 Have a great March Madness week with this fun (and easy) basketball craft!